يشكل فندق فندق سوفيتيل بريسبان سنترال بموقعه الممتاز في قلب مركز مدينة بريسبان نقطة انطلاق ممتازة لاستكشاف بريسبان. إن موقع الفندق الاستراتيجي، الذي يبعد 1. Km فقط عن مركز المدينة، يسمح للنزلاء بالوصول سريعاً وبسهولة إلى العديد من الوجهات المحلية المثيرة. إن سهولة الوصول من الفندق إلى المعالم السياحية الشهيرة الكثيرة في المدينة كمثل ‪Vera Wade Gallery‬, ‪Uniting Saint Andrews Church‬, معتكف ومنتجع ستيفاني هو استثنائي بحد ذاته. إن فندق سوفيتيل بريسبان سنترال حريص على توفير الراحة للنزلاء، فلا يوفر الموظفون جهداً في تقديم أفضل الخدمات وضمان حسن الاستقبال. يمكن الاستمتاع بمجموعة من الخدمات على أعلى المستويات في الفندق كمثل خدمة الغرف على مدار الساعة, مكتب الاستقبال على مدار الساعة, مرافق مخصصة لذوي الاحتياجات الخاصة, تخزين الأمتعة, واي فاي في المناطق العامة. تتضمن كل غرف النزلاء وسائل الراحة والتسلية المصممة خصيصاً لضمان الراحة القصوى للضيوف. كما أن مجموعة الخدمات الواسعة الموجودة في الفندق لضمان راحتك تترك لك الكثير من الخيارات لقضاء وقتك أثناء فترة إقامتك. اكتشف مزيجاً ساحراً من الخدمة الاحترافية والخيارات الواسعة من وسائل الراحة والمتعة في فندق سوفيتيل بريسبان سنترال. This hotel is central and in the same building as the train station. It is a short walk to the mall and a little further you can be in south bank in less than 30 mins. The staff were freindly but because of the time of year at times I had to ask for service where other people seemed to be getting coffee tea etc without asking as the staff were more attentive to them. My sister and I were staying 2 nights around our early family Christmas lunch at Thyme2 after our first night we discovered a leak in the bathroom ceiling through a light fixture so we called guest relations who promptly sent up a handyman who discovered it wasn’t just condensation from air conditioning which they had suspected but a leaking pipe we were moved to the room next door by the concierge we received complimentary on demand movies and my sisters car parking fee was waived for our inconvenience. The lunch at Thyme2 was fantastic and I also used the gym several times which is great and has a stunning view - well done Sofitel Brisbane! I am often bemused that hotels claiming 5 star status with equivalent room costs cannot see their way clear to provide a couple of biscuits in the rooms to be taken with tea/coffee. 2 and 3 star hotels/motels are able to do so. 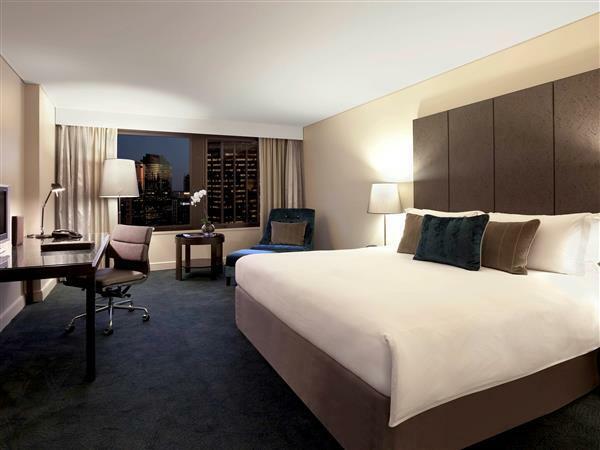 The Sofitel Brisbane is a comfortable and elegant hotel where all the important aspects are managed beautifully. Beds are excellent, rooms are stylish and the services and facilities are all of a high standard. Ambiance of the hotel lobby and view from my room. The room looks and feels old which does not give a homey feeling. I like the ambiance at the lobby though and the location is really excellent as it is located immediately above the Central Station. The concierge, early in the morning, was a bit hesitant to help us out print a flight document. Took another staff to assist us. great location,friendly and helpful staff. 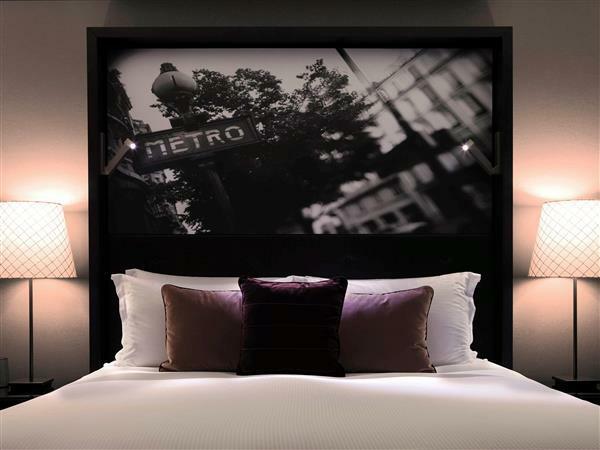 I always stay at the Sofitel because it is in a great location, handy to public transport, shopping and entertainment. Staff are always friendly and helpful. The rooms are big, clean and the beds are really comfortable. Cant ever say anything isnt up to the best five star standard it says it is. they say you get what you pay for. this couldn't be more true for sofitel - bang for your buck. the hotel location is excellent, just right above the central train station. everything interesting is within walking distant. the room is simple yet you experience the feeling of luxury. the bed is really nice and comfy. the concierge has been very helpful. ask them about the local scene. i feel that their knowledge is good and they are truthful and honest about their recommendation. If you're a tourist, let's this hotel be your choice. It's very comfortable for travel. The express train is under your room! Don't worry about annoying from train, it's ok. Just push the door, you can go to anywhere. Love this hotel. Recommended - value for money with good location and good customer services. The restaurant and bars are also very good. Good for both leisure holiday and business. Hotel is in good condition. There are different types of pillows for customers to choose from. I used to love staying at the Sofitel. However, this time was like staying in a 4 star hotel. The noise from shouting children at the pool, traffic and the banging doors from guests and the housekeeping staff made my stay terrible. At least I was upgraded to the top floor but still this made no difference to the amount of constant noise I had to endure so all in all it made my holiday worse than being at home. Staff were very friendly and provided good service. Room was quite old and a bit musty but still clean. Are the airport I got a emails that they charged me mini bar services, and I never even opened the fridge! Wi-Fi is expensive unless you're an Accor member. Proposed to my girlfriend in the Cuvee bar and what the staff did next was just amazing. Thank you for making the event extra special. The WiFi spend was too slow. The hotel itself is old but yet beautifully maintained. The service from the front desk should be more advanced. We were being offered to join Accor account and email registration acceptance should be received in my email within the same day however to this date, no information is received. In our check out - David who helped us requested breakfast payment when it's clearly stated the payment had made in advance through agoda and we only owe the parking fee. Rudely he said OK, you paid us this amount without apologizing that he made a mistake for the charges. We stayed overnight in a Superior room. Check-in was a breeze, with our room available a little early as requested so that I could make it to a 2pm appointment - much appreciated. (If the room hadn't been available, we still had the option of storing our bags until the room was ready). The room was generously sized, with a large entry area and wardrobe. 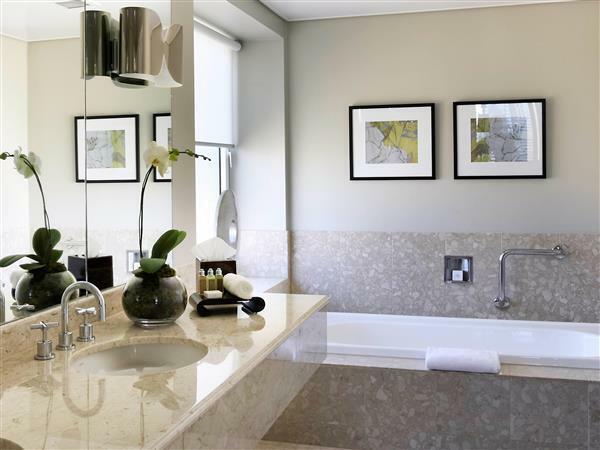 The bathroom was fitted out in marble with lovely Lanvin toiletries. Towels were a lovely size. A hair dryer and sewing kit were available in the wardrobe and there were other amenities such as a shower cap, nail file, cotton buds and cotton wipes in the bathroom. The king bed was very comfortable - a lovely medium between soft and firm, with soft pillows. The curtains blocked light well so that we could sleep. Checkout was also a breeze and we were able to leave our bags stored whilst we had a day in the city. On our return, our bags were retrieved and a cab called; we were even offered bottled water for the trip. Just great. Not mention to us before we got there that you have to pay to park the car even if you are a guest of the hotel . Nasty surprise ontop of the already expensive room rate . Had to line up in a VERY LONG line for breakfast even though we had a booking and were quests at the hotel . No special benifts there !!! I rate the hotel high except for the bed comfort. The hotel advertise their bed quality high however it does not compare to the Hilton. 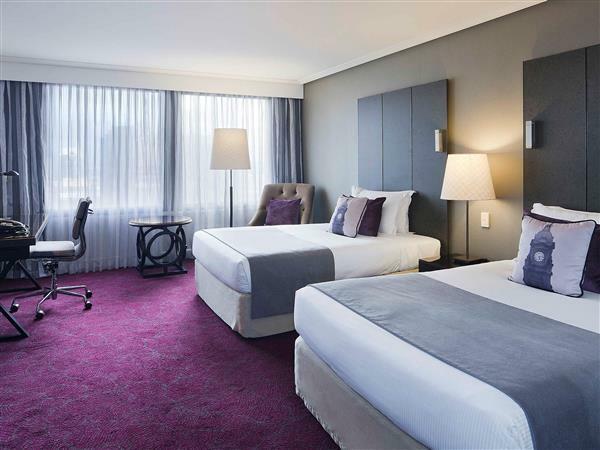 i mentioned this to the reception and they tried to amend by providing different pillows, however its the Hilton for me next time in Brisbane.